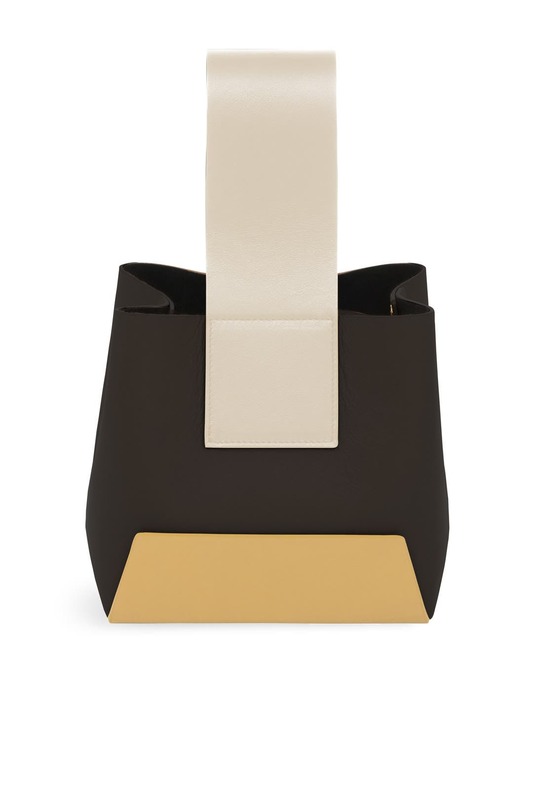 Bold colorblocking and a wide tab handle add distinct Yuzefi style to this boxy bag. Smooth black leather top handle bag with contrasting tan base and cream strap. Magnetic closure. 6.25" handle drop. 7"H x 7.75"L x 6"D.